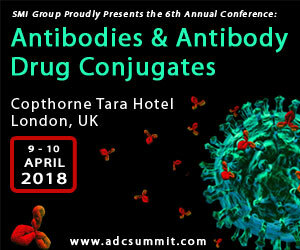 The Antibodies & Antibody Drug Conjugates conference will be hosting 2 half day post-conference workshops on the 11th April, presented by BioPharmaLogic, Antikor Biopharma Ltd and UCL. Read on for an exclusive £100 discount. ADC development has been the most exciting advance in therapeutic drug development, especially as the concept expanded to include anti-body fragments, peptide analogues and novel linkers and war heads. However, these are a complex development process as targeting molecule, linker and war head all have to be assessed for safety. Success depends on understanding what is possible and using different approaches in find the best options help get the quickest first-time in human study (FTIH) study. The outcome is to provide an agency with a credible CMC package, demonstrable efficacy and safety to support a risk management plan for FTIH. This workshop will provide the top view for all disciplines and functions including discovery, manufacturing, nonclinical, regulatory and clinical to provide each with the challenges faced by the other disciplines. The workshop will also aim to cover the most important aspects that should be part of the “big picture” to file an IND and how to risk-manage to reach objectives and deal with the unexpected. This workshop will describe some key basic concepts about recombinant antibodies: structure, function, biophysical and biological properties. The workshop leaders will then build upon these concepts to illustrate how antibody-based medicine drug discovery is impacted, using examples from antibody discovery and conjugates. This will provide scientists in the field of biologics drug development an excellent insight into antibodies at all levels and a chance to interact with experts in the field.